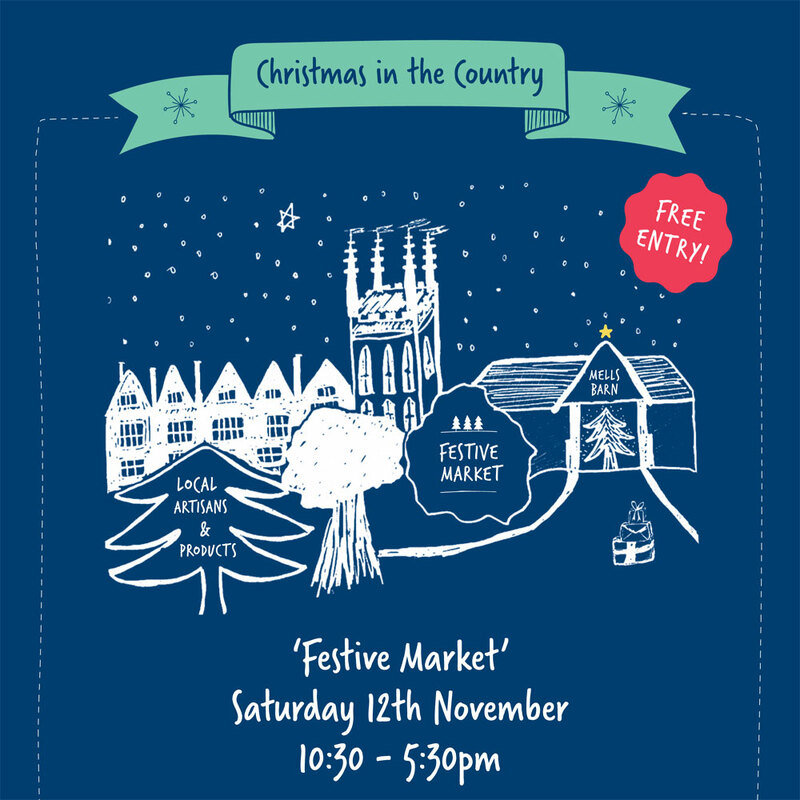 Come and enjoy the festive atmosphere at this Christmas market in the beautiful Tithe barn in Mells. The market is an eclectic mix of twenty artisan stalls, each brimming with fabulous Christmas ideas and gifts. Tea green will be there with a range of products including some new tassels, keyrings, stationery and paper decorations. If you are looking for something different to give as a gift or to treat yourself then this is the Christmas market for you! 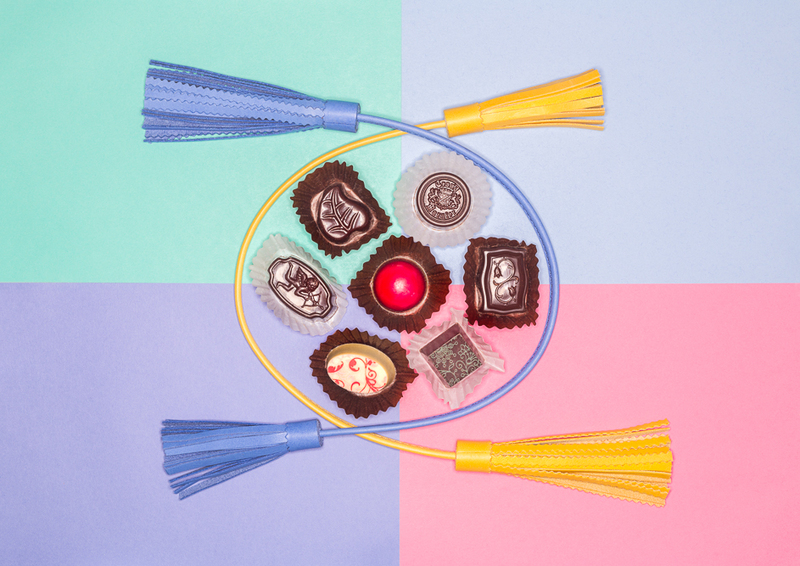 These tassels are now in Fortnum and Mason. 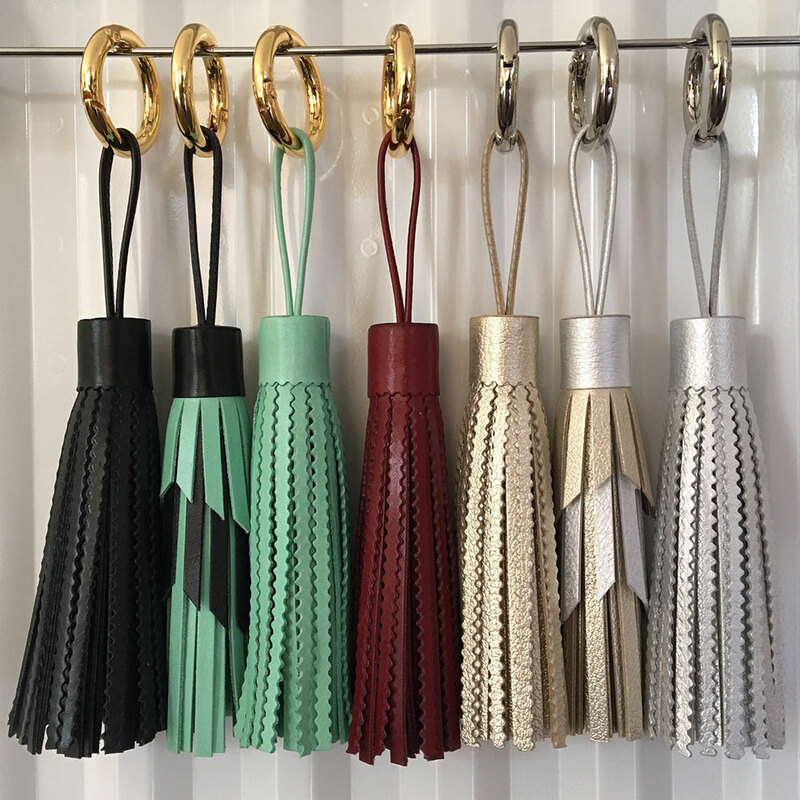 Frances was asked to work on a project developing tassels for their store in Piccadilly, London. The tassels that tea green have been selling recently caught their eye, particularly the corrugated edges. 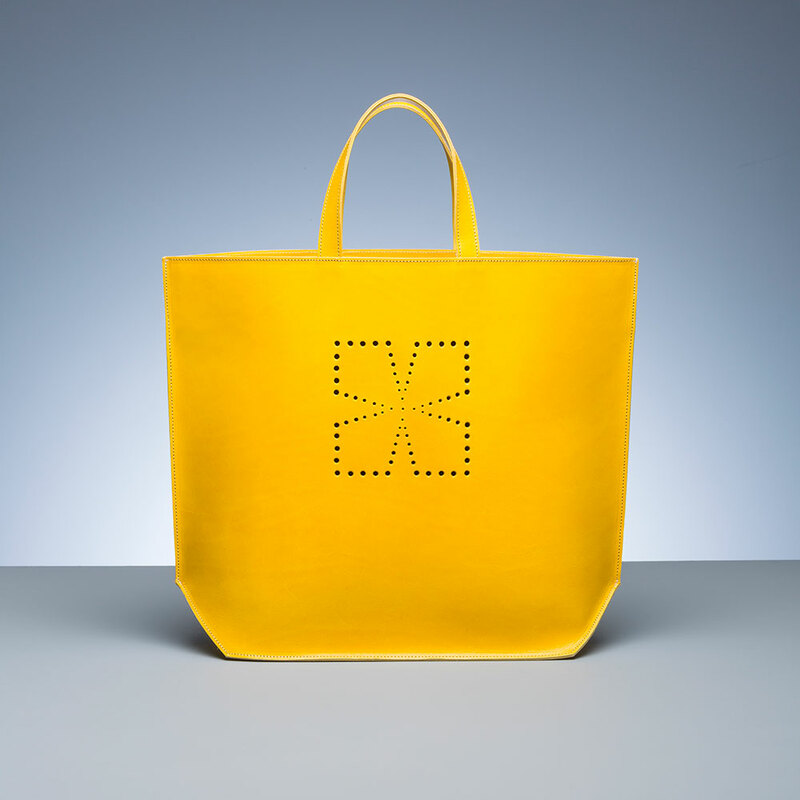 Two styles were developed with good quality metal clips to fasten onto bag handles or rings. They are on sale at the fashion accessories till point and have been made in eau de nil (the store colour), navy, burgundy, silver and platino. They are all hand made in Somerset with great care and attention to detail, including the leather loop on the tassels which has been turned and stitched. Frances worked closely with the Fortnum and Mason buyers in order to meet the needs of their customers. Similar tassels are currently being made and will be available to buy online with tea green. Keep an eye out for them! Bag tassels and key rings will make ideal Christmas presents. Made in Somerset took place at The White Hart Inn in the Market Place in Somerton during May 2015. Around 30 local artisans and small businesses exhibited throughout the day, with gifts on offer raising from toiletries and handbags to finely matured cheddar and seasonal plants. All proceeds from the event are being split between the Addington Fund for farmers in Somerset and Etatu, a charity for farmers in Kenya. Etatu, which is based in Street, was set up by co-organiser Jacquie Lindgren to support the families of Msambweni, a fishing and farming village on the Southern Kenyan Coast. She said: “We took the decision to focus on one small area where we know we can make an impact. Ms Lindgren is contemplating holding a second event at the same time next year. For more information email jacquie@etatu.org.uk. Taken from the article in the Western Gazette. I have a double page spread in the March edition of Somerset Life. Its great to share the tea green story.